Dinosaurs are some of the most fascinating creatures, but how much do you know about the incredible inhabitants of the prehistoric world? This is Part one of the series “Dinosaur Facts and Trivia.” The answers to the questions can be found at the bottom of the page. Check back soon for Part 2! Let’s get right into it! Dinosaurs were reptiles that lived through the Triassic, Jurassic and Cretaceous periods. So far there have been over 700 dinosaurs identified and named, scientist believe this is a very tiny percentage of what once walked the earth. Technically all dinosaurs lived on land, because prehistoric flying and water dinosaurs aren’t classified as dinosaurs. 1. For roughly how many millions of years did dinosaurs exist? 2. When did the first dinosaur appear on the planet? 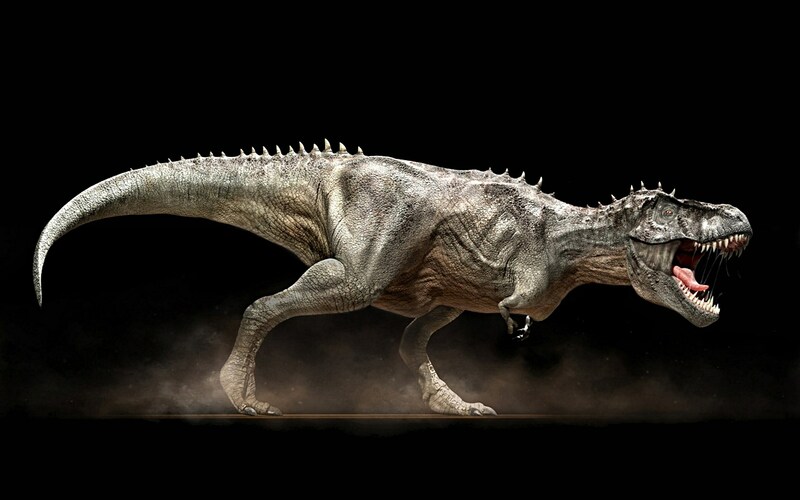 A Tyrannosaurus Rex was a fierce predator that lived around 85 to 65 million years ago. It was one of the largest meat-eating dinosaurs that ever lived. 5. Was a Tyrannosaurus Rex tall enough to peer into the top window of a double decker bus? 7. A Tyrannosaurus Rex’s powerful mouth could bite off and hold a chunk of meat the weight of a rhino. 8. Roughly how many teeth did a Tyrannosaurus Rex have? 9. Tyrannosaurus Rex may have hunted in packs. That’s it for part one! Check back soon for our part two presentation of dinosaur facts and trivia! Making a new friend – sometimes it’s not what you expect!